Directed by Otto Bell Starts Fri., Nov. 25. Harris. 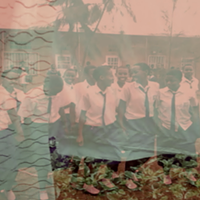 These are fraught times, and we could use some reassurance that there is still much to celebrate in the human condition — that positive change comes slowly and in odd ways, but come it does. 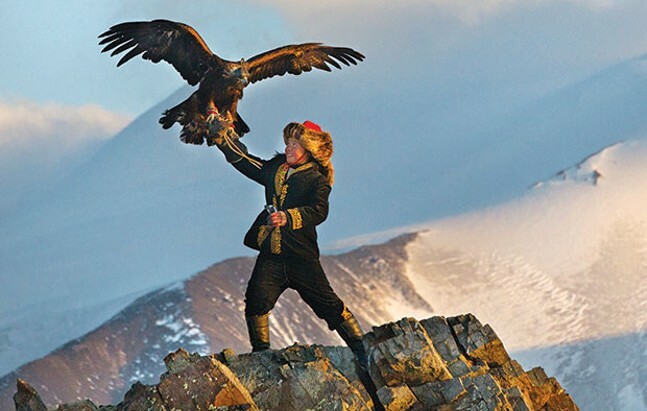 So let Otto Bell’s new documentary, The Eagle Huntress, take you away for 90 minutes. It’s an uplifting tale of family, female empowerment and one very large bird. Aisholpan Nurgaiv is a 13-year-old girl who lives with her nomadic family in the mountainous Altai region of western Mongolia. On weekdays, she boards at a school in a nearby town, but weekends are spent in a yurt plopped down in the steppes. She is a bright girl and keenly interested in a regional tradition practiced by her father and grandfather — hunting with golden eagles. Eagle hunting is for men. An older hunter explains: “Women are weak and more fragile.” But Aisholpan’s father respects his daughter’s desire and recognizes that she has gift for it. As we’ll learn, eagle hunting requires physical strength, perseverance and an unteachable affinity between human and bird. The practice begins with the hunter acquiring a bird. A nest must be found, breached and an eaglet taken. (Female birds are preferred.) Then follow months of training, as the bird is taught to accompany the hunter (usually on horseback) and to respond to commands. Every year, there is a competition for eagle hunters where various skills are tested and scored; there is also a de facto understanding that come winter, the man and bird will take to the frigid mountains to hunt fox together. Beyond this basic narrative — we follow along as Aisholpan finds and trains a bird, and participates in the competition — Bell’s film is an ethnography depicting a group of people who, despite some contemporary trappings, still live by the old ways. It also provides a window into the fascinating tradition of eagle hunting, which comes with colorful costumes and various protocols (after seven years of service, eagles are released back into the wild). Even if nothing happened in this film, the gorgeous scenery and cinematography would make for a relaxing and awe-inspiring hour or so. This part of the world is unimaginably vast, with endlessly sweeping plains surrounded by high mountains — depending on the season, it’s verdant, bare or snow-covered. Bell used drones to shoot from high above, capturing the sense of endless space; at other times, he rigged a GoPro for remarkable closeness, such as when we climb with Aisholpan into an eagles’ nest on the side of a cliff. But spectacular scenery aside, the film’s winning player is the sweetly shy Aisholpan; her determination, pluck and good humor make her a compelling protagonist, and her warm relationship with her dad is a welcome update to the usual father-trains-son profiles.